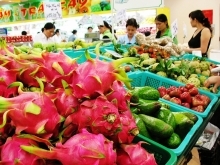 The UN wants to support Vietnam in its development of a sustainable and inclusive economy, said Kamal Malhotra, UN Resident Coordinator in Vietnam. He made the statement at a meeting with National Assembly Vice Chairwoman Tong Thi Phong in Da Nang on December 17, on the sidelines of a two-day conference titled “The National Assembly (NA) and sustainable development goals (SDGs)”, which opened in the city on the same day. Lauding Malhotra’s participation in the event, NA Vice Chairwoman Phong informed her guest that the NA’s recent sixth session had discussed investment and growth contents that closely followed the country’s commitments to the UN SDGs. She stressed that activities held by the NA always receive assistance from UN’s associated agencies and organizations in Vietnam. She said Vietnam is facing challenges in mobilising funds for climate change adaptation and difficulties in carrying out its investment policies on infrastructure, electricity, water, and transport development in areas populated by ethnic minorities, particularly mountainous, border, and island locations. 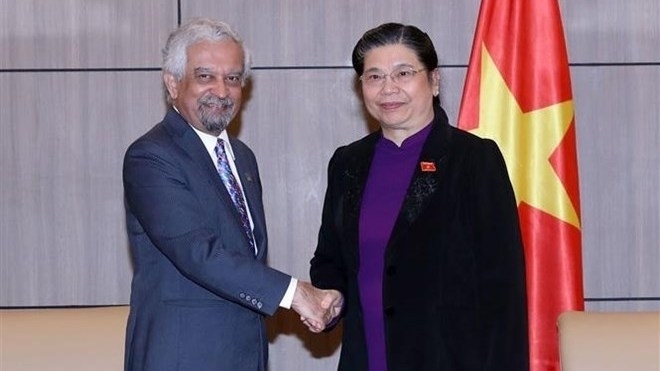 The NA Vice Chairwoman hoped that the UN and UN Development Programme (UNDP) in particular would support Vietnam in assessing the impacts of climate change and putting forth urgent measures to handle the issue along coastal areas from Ho Chi Minh City to Ca Mau. Vice Chairwoman Phong said she hoped the UNDP will work with Vietnam in organising capacity-building programmes to help NA deputies boost their skills and knowledge on international laws. For his part, Malhotra highlighted that the UN is committed to assisting and sharing experience with Vietnam. He said he hoped that both sides will soon establish a working group to run field trips in the northwestern region, particularly Son La province, to study local ethnic minority communities. Underscoring climate change response as a top priority, Malhotra said the UN has built short-term action plans for it and will collaborate with the Vietnamese Government in tackling the challenge. The UN’s Green Climate Fund is willing to support related short-term solutions, including the building of houses for Vietnamese people in flood-hit locations.